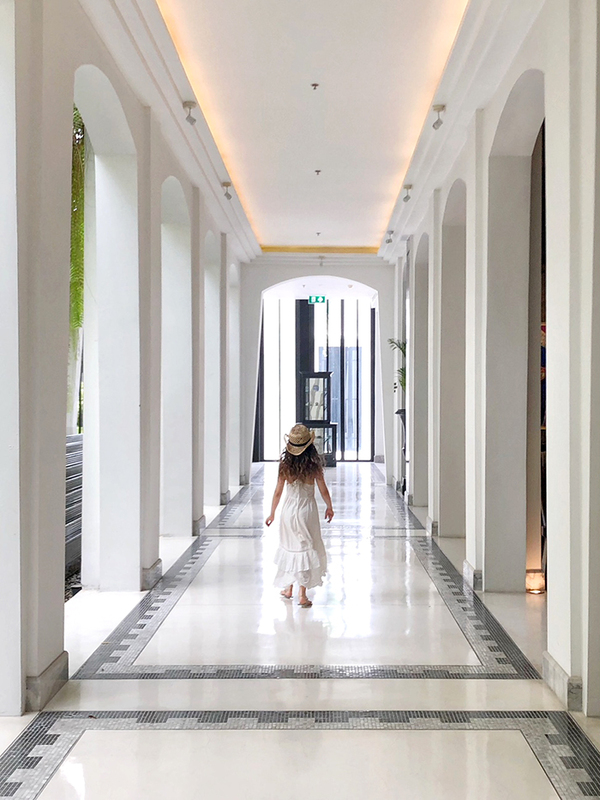 When my mum came back from Thailand last year she literally wouldn’t shut up about some hotel called The Siam in Bangkok, and all the food she stuffed in her face while she was there. And you know I am happy that she liked it but seriously I am hardly the right person to tell about an awesome food experience that I missed out on. Hmmmph! 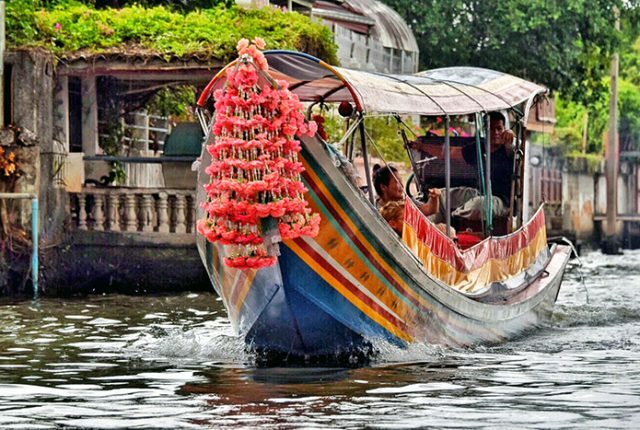 Anyway, when we got to go to Bangkok with mum a few months later, I pretty much pushed her in a cab and made her take me straight to The Siam to see what was so great about it. Luckily, she didn’t need a whole lot of convincing to go back. But on the way she told me that I had to earn my lunch by making it myself. Wait, what? 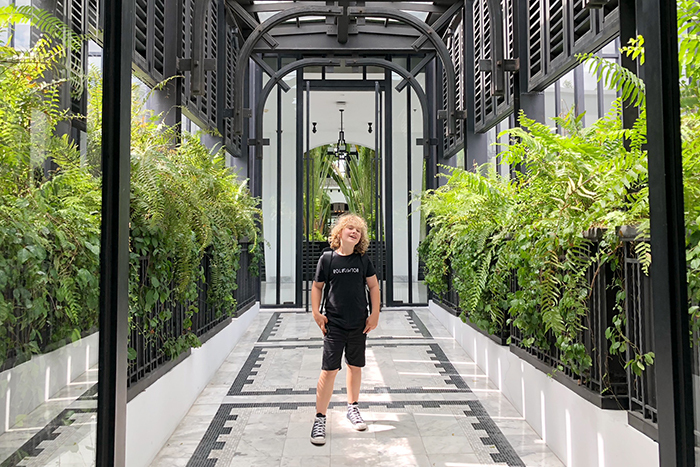 Before I tell you about that experience, I have got to tell you about the hotel, because Mum was right, it is insanely cool. First of all, it’s totes styling! 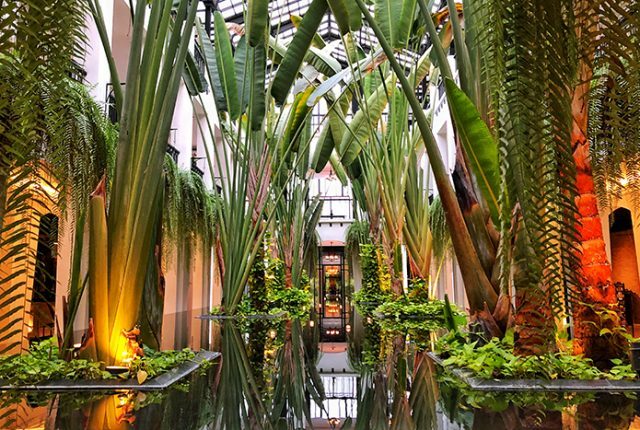 It’s all cool white black and there’s an amazing inside garden that is like three storeys tall and surrounds a glassy water feature. That alone sold me the minute I walked in. But this place just gets better and better. 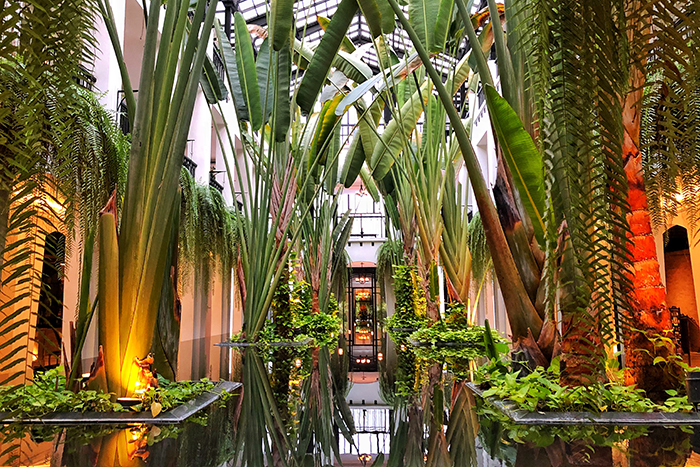 Somehow while staying clean and modern, there are amazing treasures literally everywhere. 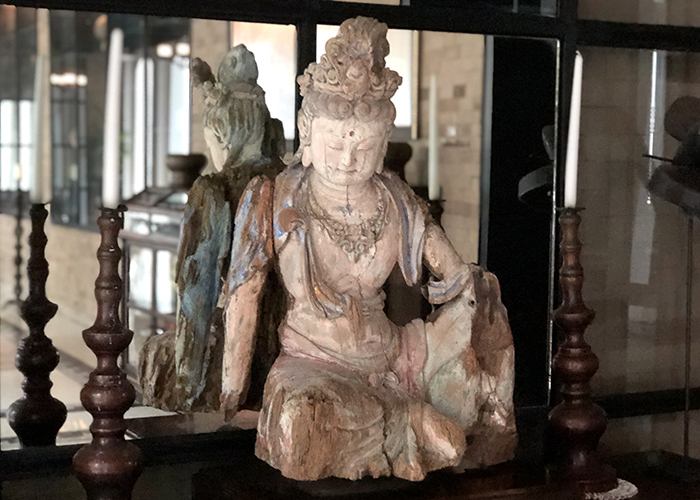 This place has more artefacts than most museums, and the best things is that they’re more interesting artefacts than you’d find in most museums. You know stuff like old posters and sports stuff, even older cameras and books, and wild musical instruments and vinyl albums… seriously there’s old everything. And every bit of it is super interesting. 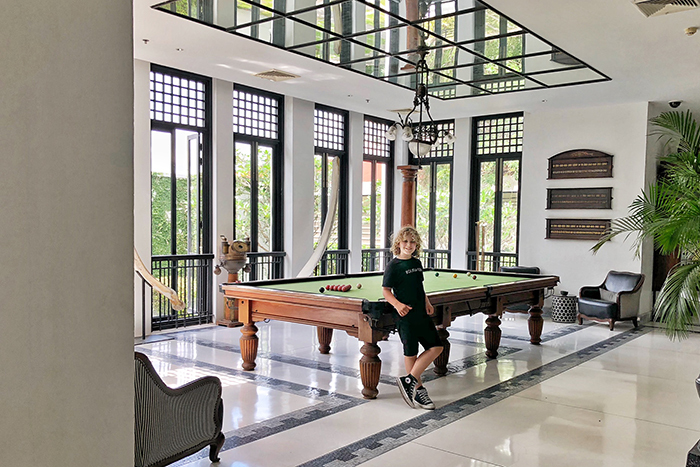 It’s all super kid friendly and there’s a movie room, Muay Thai lessons, kid-friendly Thai cooking lessons and just a whole bunch of general niceness directed towards kids. 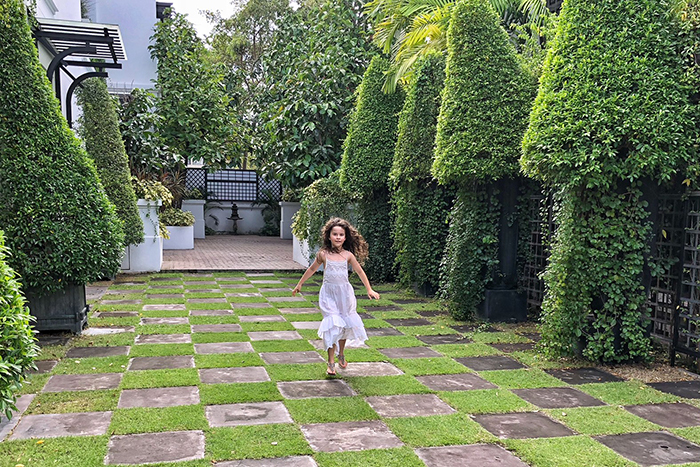 I was happy just getting lost just cruising around all the bits and pieces in the public areas, but mum shuffled me out the door and into the garden where it got even better. I mean, even the lawn was cool. It looked like a giant green chess set, and the timber buildings and giant old doors were like nothing I’ve ever seen. Apparently, they’re all old too. 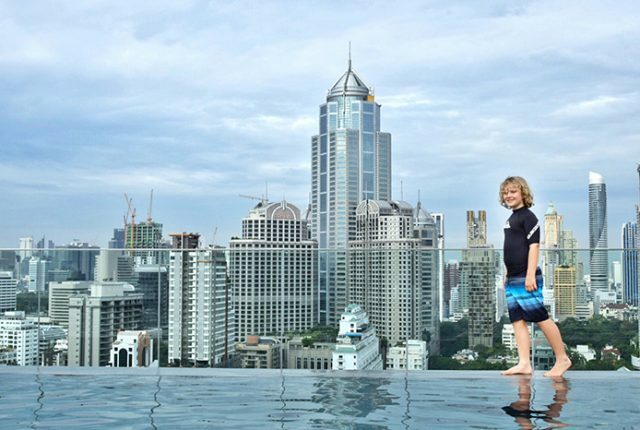 And don’t get me started on the pool. It is a thing of epically stripy awesomeness. I found it almost impossible to resist leaping in to it. 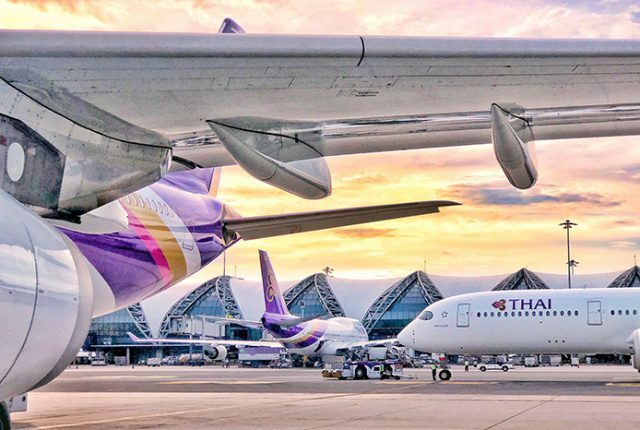 Sorry, so now I’m rambling and raving, just like mum did because The Siam is the kind of magical place that does that to you. I promise I’ll get to the point of all this, which is mum sending us to The Siam’s Cooking School, where my sister and I did actually have to make our own lunch. Not that we were complaining. I love cooking because I like eating. And I really love learning to make the local food I try when I travel so I was actually pretty excited to do a Thai Cooking Course. And this particularly cooking course was extra awesome because my sister and I got to select the dishes we wanted to make, so I got to spice things right up. 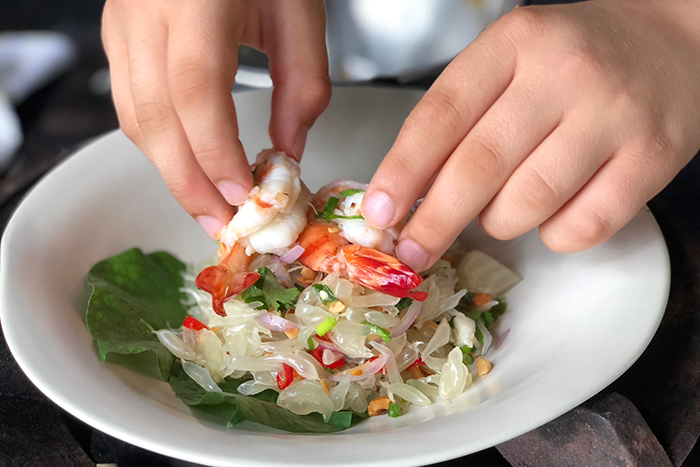 Sugarpuff isn’t quite as daring as me when it comes to spicy food, so she chose Pad Thai Goong (stir-fried rice noodles with tiger prawns), which I was totally up for because I love that stuff. I chose a hot and soupy Khao Soi curry, of course, and we both agreed on a Yam Som O Goong (pomelo salad). 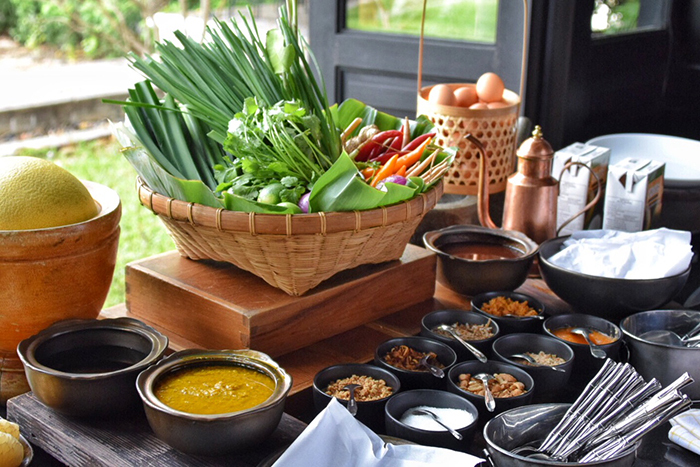 Our teachers were the hotel’s executive Chef Damri Muksombat and his assistant Moo. 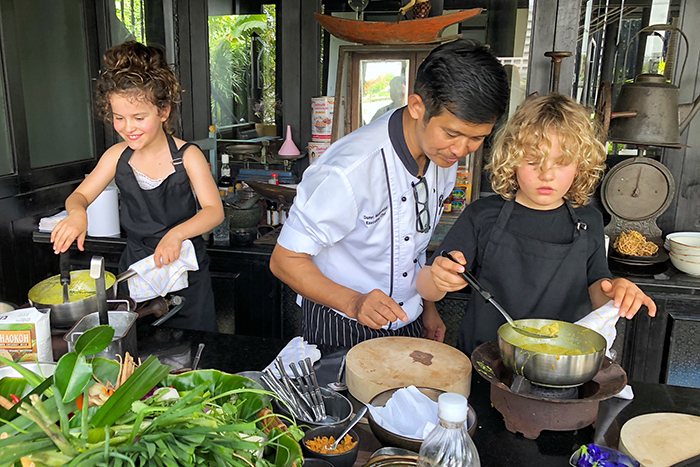 It’s not every day a kid gets to learn straight from a legit top chef, but Chef Damri is a mega chef who has cooked at some of Bangkok’s best restaurants. And, as a bonus, he’s as nice and funny as he is brilliant at cooking. I couldn’t believe he was going to share his epic kitchen skills with us, but he totes did. 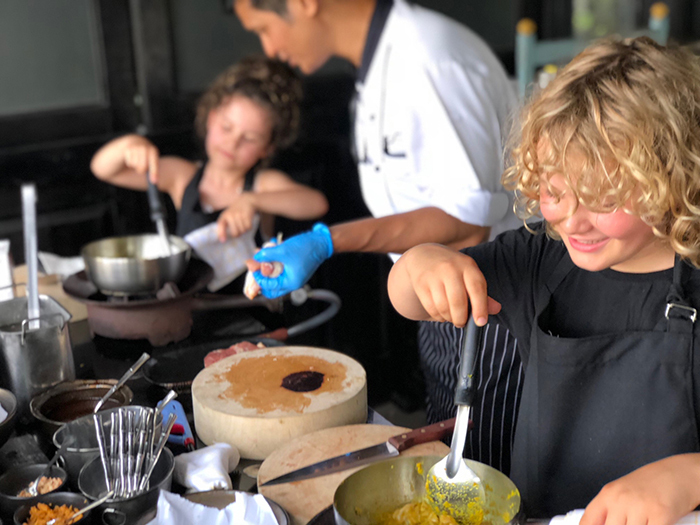 One of the best things about this particular cooking school is that Chef Damri takes you through every tiny detail, step by step, at a pace that suits you. This was no demo, this Thai Cooking class was the real deal! We made everything from scratch and used real equipment including knives so sharp that my mum was wincing every time we waved one about. 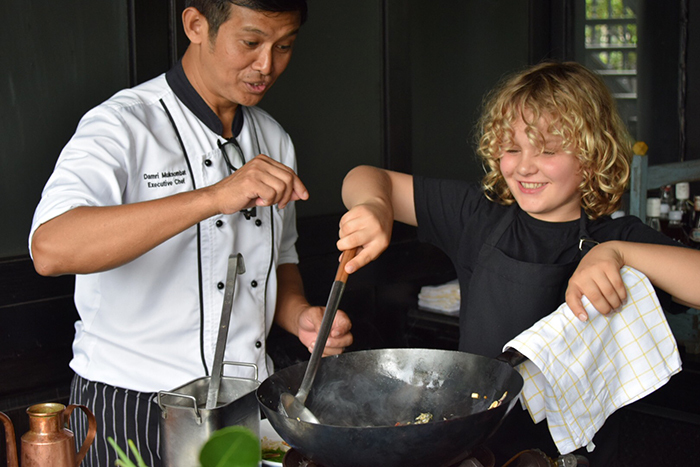 Chef Damri was so patient as he taught us about all the fresh Thai herbs and spices we were using like galangal, lemongrass, coriander and pandan, as well as how to prepare them. Then we got cooking. We chopped, we mixed, we stirred, we fried, we simmered, and we danced. Seriously, we actually danced. Sugarpuff invented a new thing she calls twerkcooking, where she dances while she while she cooks. Soon enough she had everyone doing it, even the actual chefs. My sister’s twerkcooking skills are so awesome that if MasterChef and Dancing with the Stars ever want to team up for a new series called Dancing with the Chefs, she would have to be the host! By the end of the lesson we were plating up Thai Masterpieces that we’d made all by ourselves. 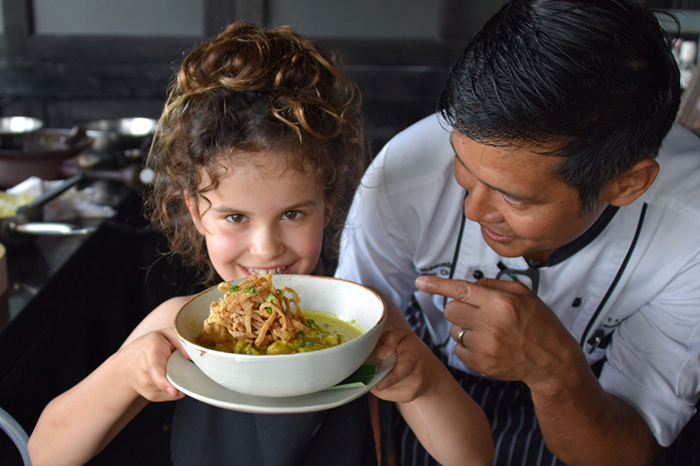 I mean, when a crazy twerking seven-year old whips up a Thai Curry like she’s been doing it for years, you know you’re in the hands of pretty amazing teachers. 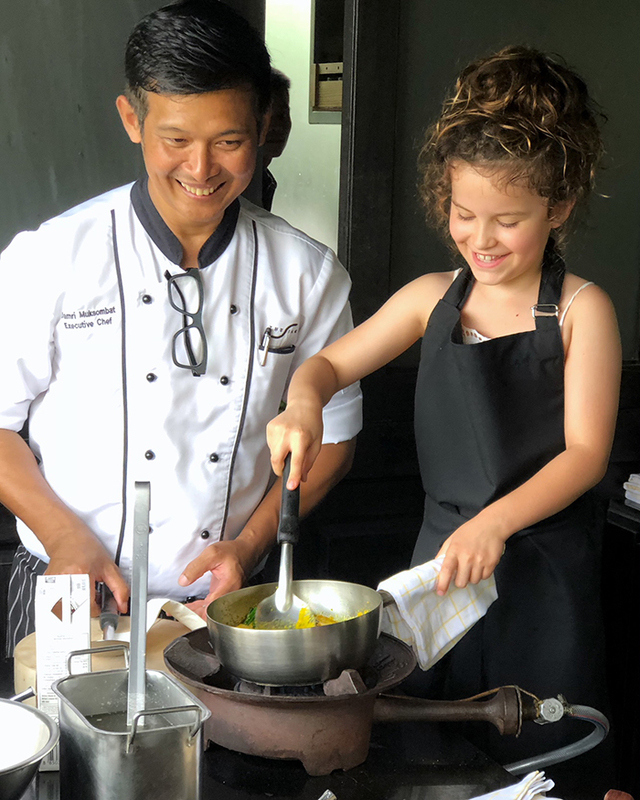 This was the best cooking class I’ve ever done and when we return to Bangkok, I’ll be signing up to learn more dishes from Chef Damri and his team, because I reckon if you’re going learn something, you may as well learn it from the best. 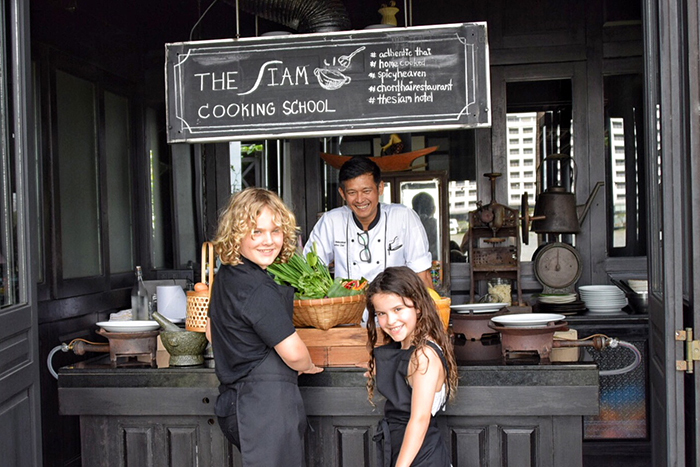 Disclosure: While I was privileged to be a guest of The Siam Cooking School, all chopping, stirring, twerking, general kitchen wizardry and opinions are my own.